If you work in healthcare, I’m sure that you are well-acquainted with the numerous challenges that exist when it comes to patient care – one major issue being patient medication administration. Up until the last couple of years, the errors made were astronomical, costing millions of dollars and tens of thousands of lives. One solution to this problem has been to implement barcode scanning in the medical field. But not just any old barcode scanner can succeed in the medical field. It is critical to utilize a line of scanners that are specifically designed to meet the needs of a healthcare environment. 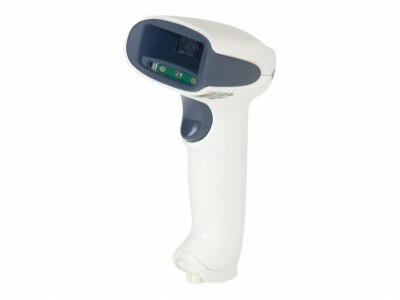 Honeywell designed the Xenon 1902 cordless barcode scanner specifically for the healthcare market. This cordless device is better for patient care than a corded scanner for many reasons. The following are some of those advantages. Objects in the room are an issue for corded scanners. The cord can knock meds off the cart or snag the IV, a painful experience for the patient that could possibly even lead to infection. An IV bag’s barcode may be too far away for a corded scanner to reach, as well, which would require the nurse to re-position the cart, furniture and equipment in the room. Cords can easily become contaminated when they come in contact with the floor. Since 5% of hospital patients in the US will develop an infection from the hospital, why let a corded scanner contribute to these statistics? Direct hospital costs for infections can cost $20K or more and Medicaid & Medicare will no longer pay for hospital-acquired infections. The Xenon 1902 scanner can be mounted on the cart above the computer screen. This location makes it easy to reach when scanning a wristband but, when mounted, also keeps the nurse’s eyes on the screen to better see eMAR errors. The scanner’s auto trigger mode minimizes the need to handle it. This allows the nurse to scan multiple meds faster, similar to a grocery store checkout experience. If a nurse cannot reach a patient’s wristband easily, they are more likely to override. More overrides means increased errors and increased time. The Xenon 1902 scanner has a lamp/flashlight mode, allowing the nurse to use the scanner instead of the room light at night. You can also easily toggle between beep and full silent mode. Both of these features help improve patient satisfaction which in turn drives Medicare reimbursement rates. If you’ve ever been a hospital patient, I’m sure you can appreciate the significance of this feature! The cordless scanner has a higher availability rate than its corded version because scanner cables fail more often than any other part of the device. The battery of the Xenon 1902 scanner can read 50K barcodes on a single charge. That’s over 2 weeks of scanning in a hospital without recharging. You don’t have to worry about misplacing the scanner. The page button on the base helps locate a misplaced scanner by making it beep. You also don’t have to worry about leaving the scanner in a room when you leave. The out-of-range alarm on both the scanner and the base sounds if the two are out of range of each other. This also helps in locations where devices that are not tied down tend to grow feet. If one Honeywell Xenon 1902 can help the nurses on two shifts save 30 minutes in one day, it will pay for itself in less than two months. Let me know if you want to see the math. Click for more details on the Xenon 1902. Better yet, ask us for an evaluation scanner and see for yourself! Charlie Waldman has a broad background in industrial solutions and systems within the government and manufacturing sectors. His experience in software development, control systems and project management along with his background in engineering, sales and training has given him a solid understanding of customers’ needs and has established a loyal following. 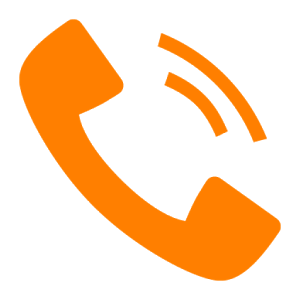 Charlie can be reached at 800.830.9523 x111; charlie.waldman@L-Tron.com.